Netflix released its first horror-based content in India with a 3-episodes series based on the Arabian folklore named “Ghoul”. The series is a wonderful blend of both- horror and terrorist-based plot. In the first episode, the curiosity is very well built up where the viewer is unable to comprehend what is the exact topic of the show- is it just a normal terrorism related stuff or has something related to ghosts etc. But as we step into the episode 2 and the way story takes its pace ahead, it is surprising to find the number of elements covered in the small segment of time. The writing is powerful and crisp without dragging any segment of the show for unwanted minutes. The direction is also worth-applauding as things are kept straight. Mostly, the way last episode has been executed is mind-boggling and keeps you at edge for the whole 45-50 minutes until the show ends. 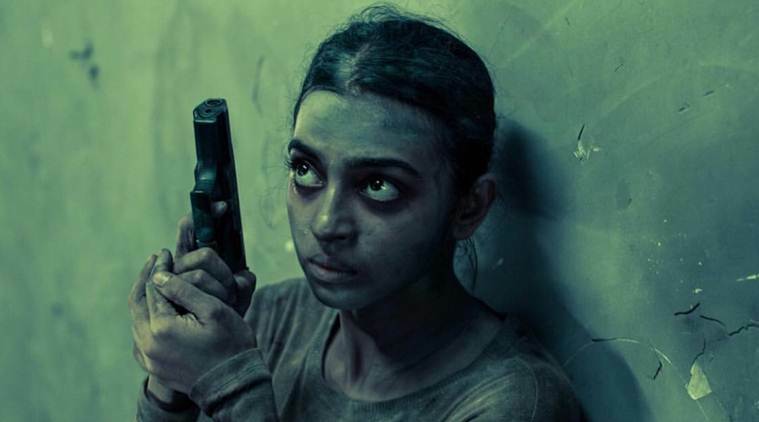 And the last scene of the series is a show in itself where you are given an indication of part 2 as you find Radhika Apte’s character dying to use her powers. I am personally not very fond of horror genre but this one has completely won me over with its unique and believable content. After the show, I spent two days reading several articles on the concept and belief of Ghoul. Talking about the performances, Radhika Apte has once again awed the viewers with her same accent that we find in all her short movies. Haha! Manav Kaul has done a tremendous job and he looks very convincing in every scene where he is on the screen. Ratnabali Bhattacharjee and Mahesh Balraj has also done a terrific job as villains. Before ending the review, I must also mention the chilling background music which has surely increased the impact of every scene. Overall, Ghoul is a good content to watch but it had more potential considering its unique concept because many scenes are just about characters being confused in their own questions. I give this one 3.5* out of 5.